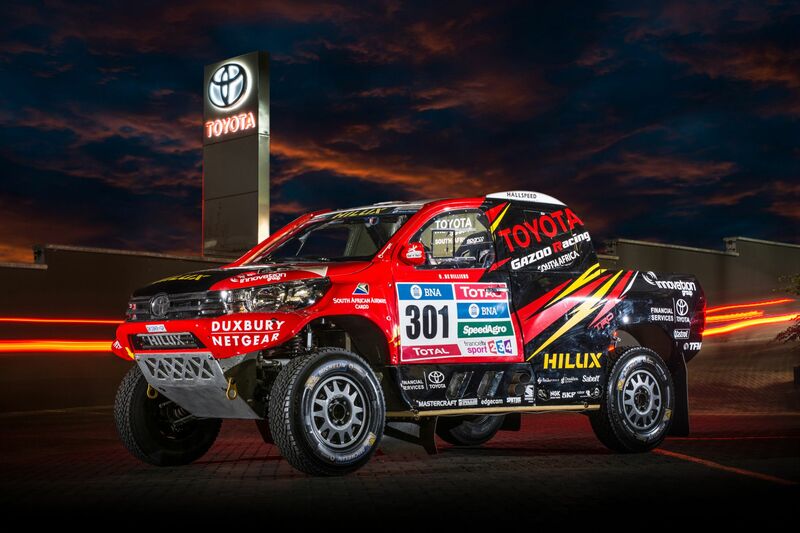 The Toyota Gazoo Racing SA team for the 2016 Dakar Rally consists of three crews. 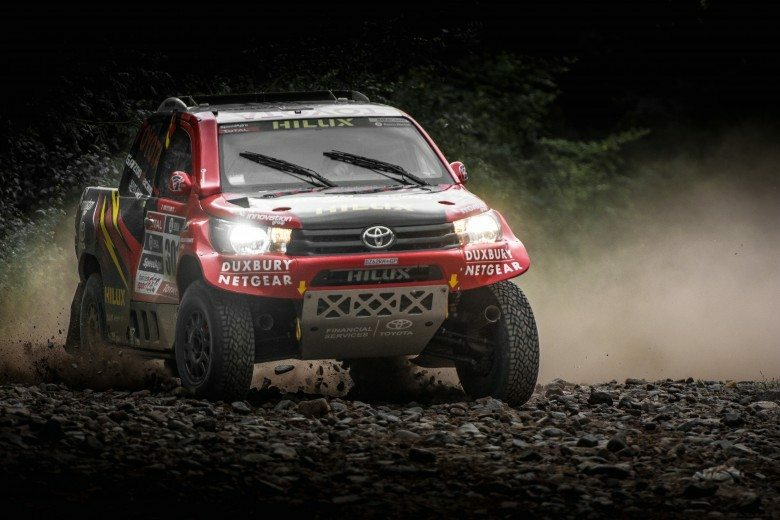 Each of the pairings have proven themselves in the past, and there can be no doubt of the talent and commitment of the six men who will pilot the latest evolution of the South African built and developed race Toyota Hilux. 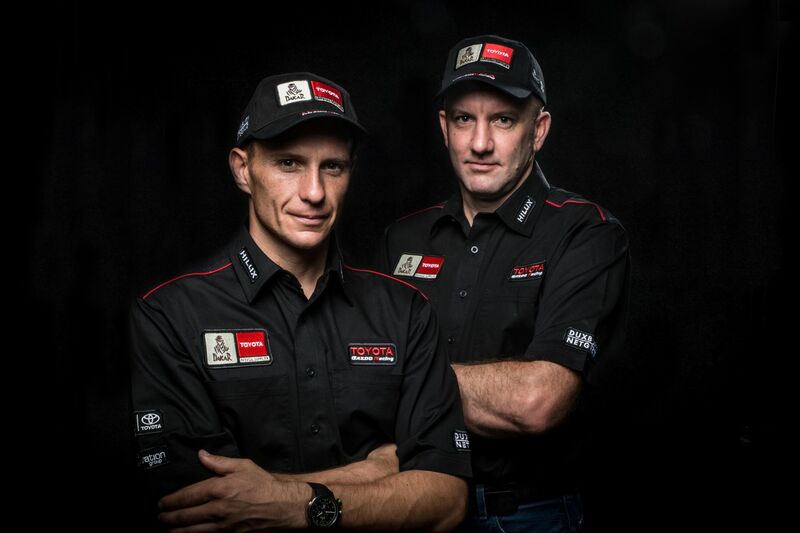 Giniel de Villiers, a former winner of the Dakar, will again be in action with his highly experienced navigator, Dirk von Zitzewitz. 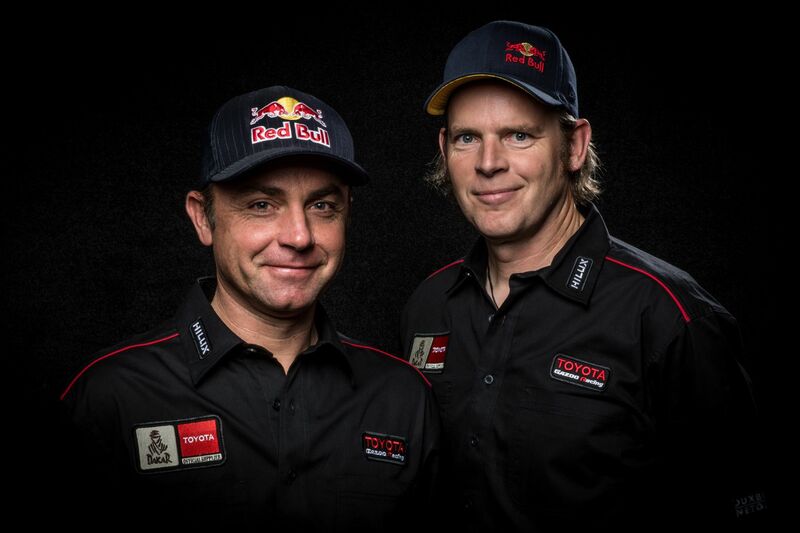 The pair has been together since 2007, and handed Volkswagen their first Dakar win with the diesel Touareg in 2009. Since the move to Toyota in 2012, De Villiers and Von Zitzewitz have recorded finishes of 3rd (2012), 2nd (2013), 4th (2014) and 2nd again in 2015. 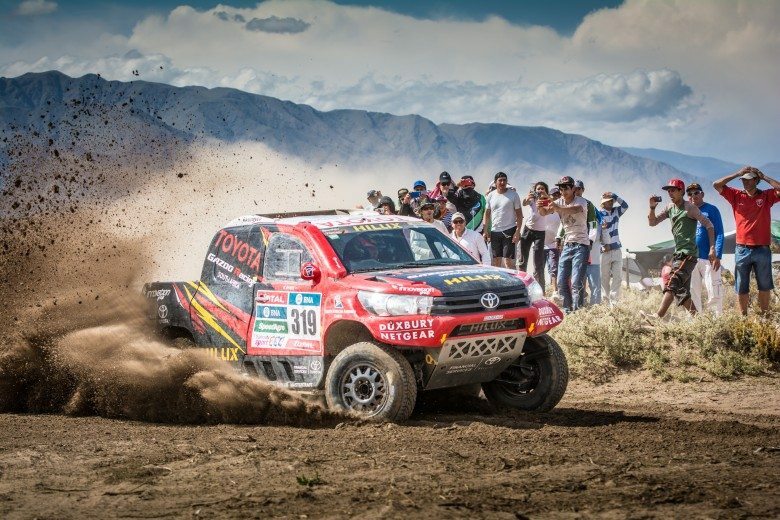 De Villiers has only finished outside the Top 10 on the Dakar Rally once, back in 2007 when his vehicle suffered an engine fire while in the lead of the race. This makes De Villiers one of the most successful Dakar racers of all time, and a second victory is certainly in his sights. For Von Zitzewitz, the Dakar journey started back in 1997, when he rode a KTM motorcycle to fifth place overall. In 2002 the German moved from motorcycles to the navigator seat, partnering America’s Mark Miller. Next came a sting with the Volkswagen team, as partner to Robby Gordon in 2005, and Miller again in 2006. He teamed up with De Villiers in 2007, winning the event in 2009, and becoming part of the Toyota family with De Villiers in 2012. The second crew will feature newly crowned Donaldson Cross-Country champions, Leeroy Poulter and navigator Rob Howie. 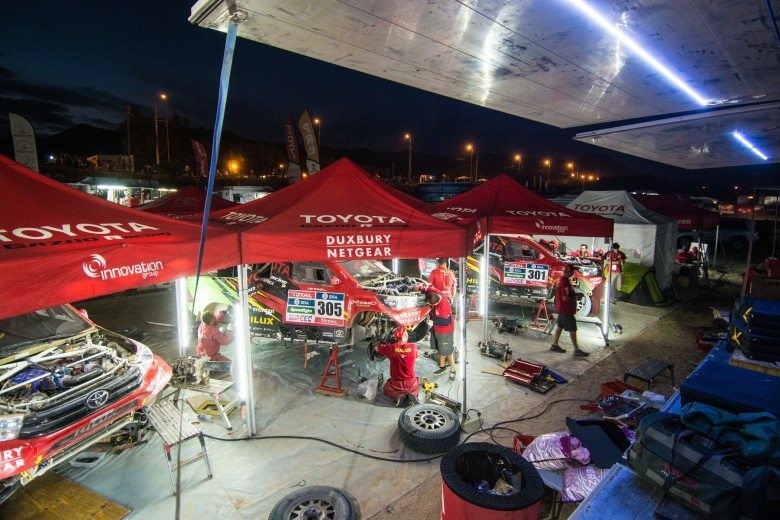 The pair have competed in two previous Dakar Rallies together, and have built up a strong rapport after many hours together in the Toyota Hilux. This year saw Poulter/Howie win all but one round of the local cross-country championship, allowing them to secure the 2015 championship with one round to spare. 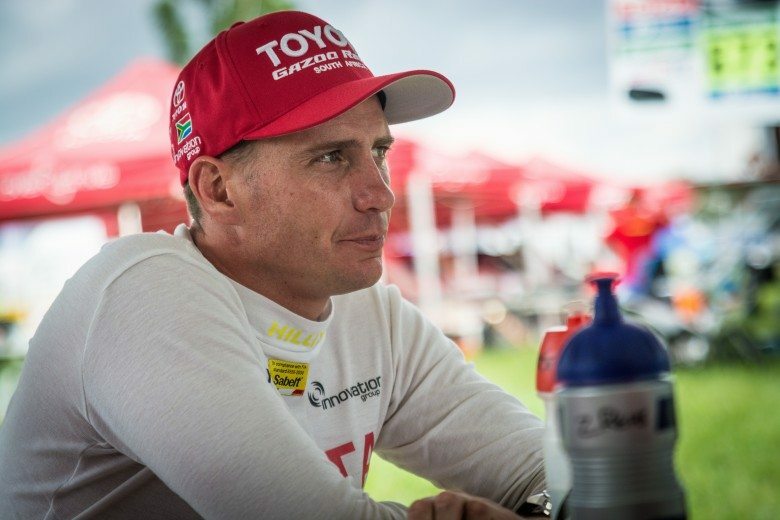 Poulter is also a former South African national rally champion – with high-speed skill that will serve him well on many of the twisty routes of the 2016 Dakar Rally. 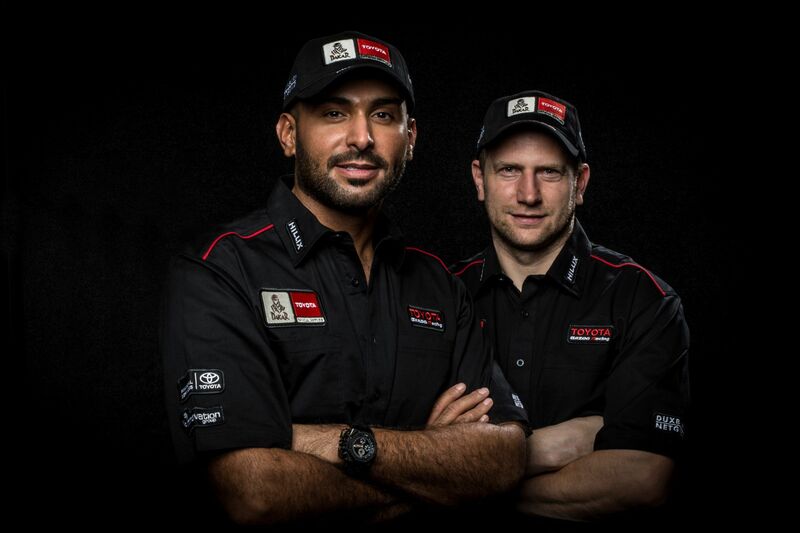 A new addition to the Toyota Gazoo Racing SA team is that of Saudi racing sensation, Yazeed Al Rajhi, partnered by the highly experienced Timo Gottschalk. 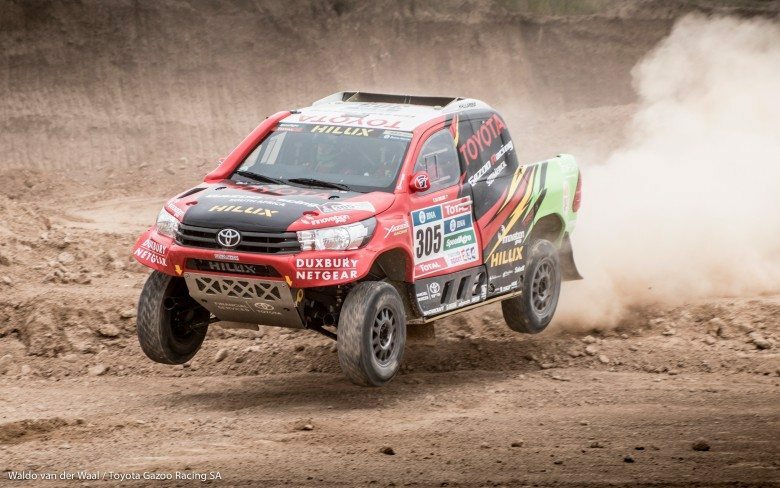 The pair entered a South African-built Toyota Hilux during the 2015 race, and performed extremely well by running in third overall. Unfortunately, a small technical problem put paid to their charge, and they were forced to retire. Al Rajhi is a household name in Saudi Arabia, thanks mainly to his prowess as a racing driver. He competes in the World Rally Championship too, and have notched up a number of podium finishes in the WRC2 class. Gottschalk is no stranger to Dakar, having competed there since 2007. 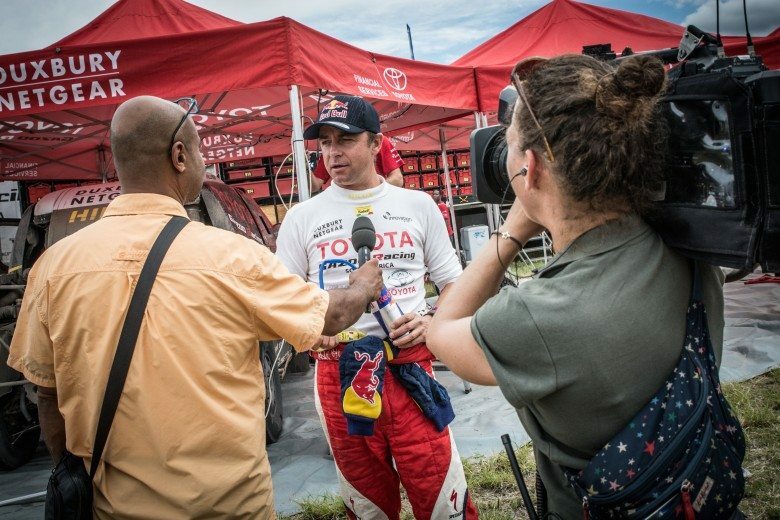 He won the event with Nasser Al-Attiyah in 2011, and partnered with Carlos Sainz in the 2013 edition of the race, before joining Al Rajhi in 2015.